5) In August,I got a new job and as excited as I was to be working, once school started,I quickly realized that my work schedule was not going to be beneficial to Amani mainly because she will be taking her state exams for the first time this year. I really want to have a prominent hand in getting her ready for it,so I quit my job. Admitting that I quit a well paying job to get my baby’s academic life together makes me proud of me! 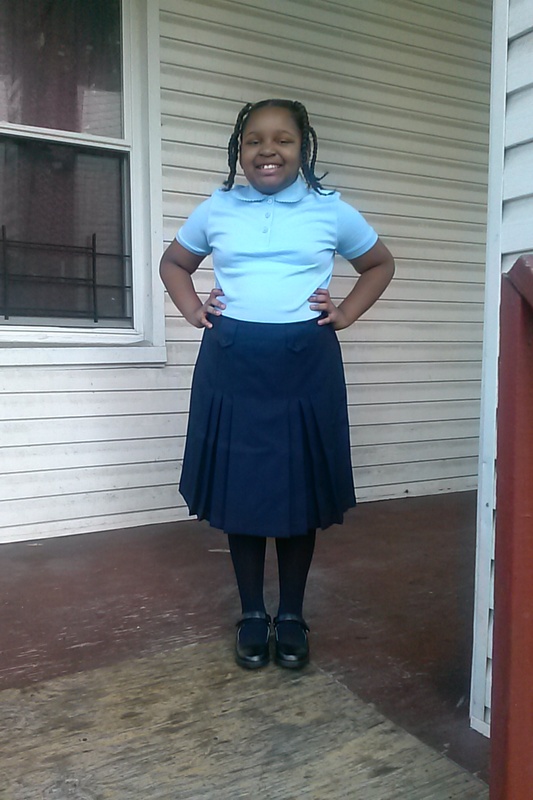 4)Speaking of Amani, this past week she bought home her first reading assessment of the school year. I’m pleased to report that she is reading above grade level. Beingan obsessive reader myself,this makes me really proud! 3) My brother graduated from high school in June and then decided to take a year off. I was worried about what he would do in the mean time but he had his first job interview last week and I’m proud of him for taking control of his own life. 2) When she was in kindergarten,Amani was chosen to represent her class in the school’s “I Have A Dream” speech contest. For her grade it was only a couple of sentences from the speech but I practiced with her everyday and allowed her to watch the original speech on YouTube. The day of the speech,I was nervous about whether or not Amani would actually do it. Well, she stunned me abd her grandmother. She didn’t win but I was proud of her for being braver than I was at her age. 1) All through elementary school, suffered with Math. I just wasn’t retaining anything I was learning. My 5th grade teacher sent me to Math Lab to get extra help, but I was already defeated. I was at risk for having to repeat 5th grade. I worked as hard as I could but I didnt have a good feeling. During graduation, medals were being given for outstanding achievements throughout the year. Two of my friends took home two a piece. The final category for medals was “Most Improved in Math”. I kind of tuned everything out until I heard my name being called. I looked behind me and my mom was on her feet clapping and so were my teacher, ath Lab tutor, and my two best friends. After I got over the shock I walked across the stage where my tutuor was waiting to hand me my medal,certificate,and a case to hold the medal in. I had never been so proud of myself and on days when I doubt myself, I think of that special day and I’m right back on my grind!